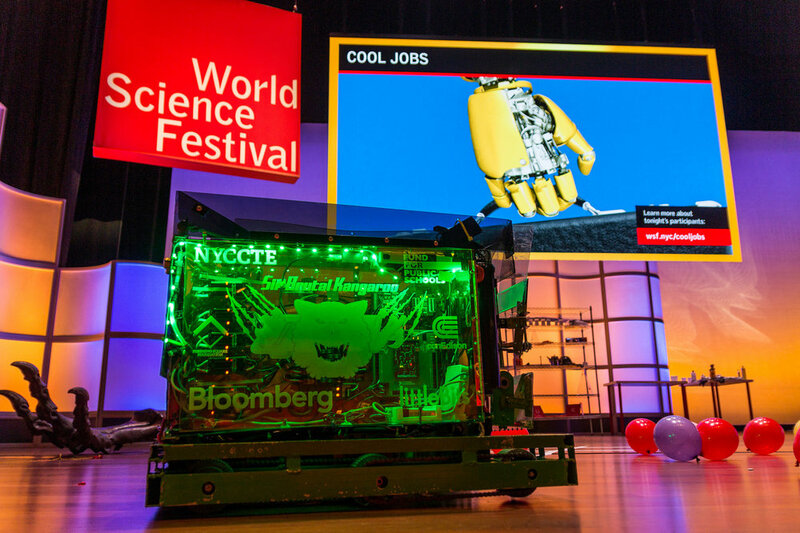 We partnered with NYU & World Science Festival to get the attention of kids through co-hosting a live show (Cool Jobs), Interactive Robot Demo, Intro To Electronics Workshop, and DIY Straw Rockets Booth. 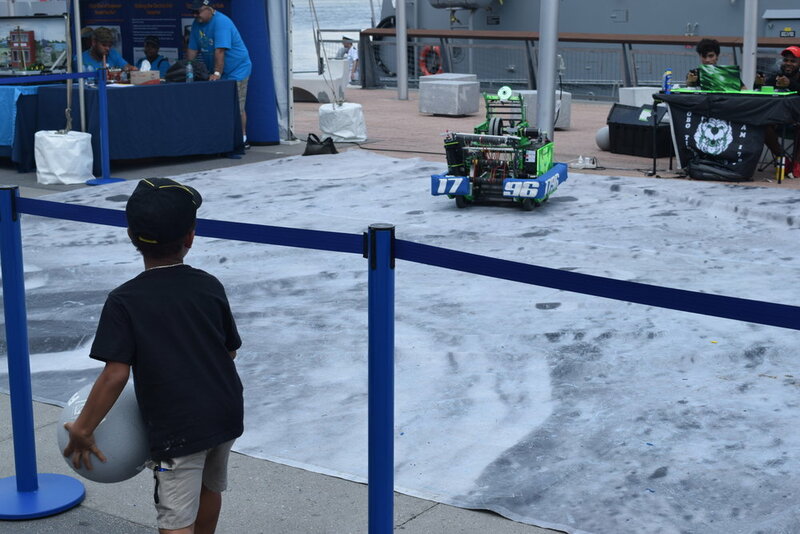 Partnered with NYSCI to provide an Interactive Robot Demo, Snap-on Electronics Workshop, Lego Mindstorm Programming sessions, Design your own Robot booth to the large audience at makers faire as well as local residents of Corona, Queens. Partnered wth FIRST and The Intrepid Sea, Air, & space museum to inspire an international audience at the annual Space Week. 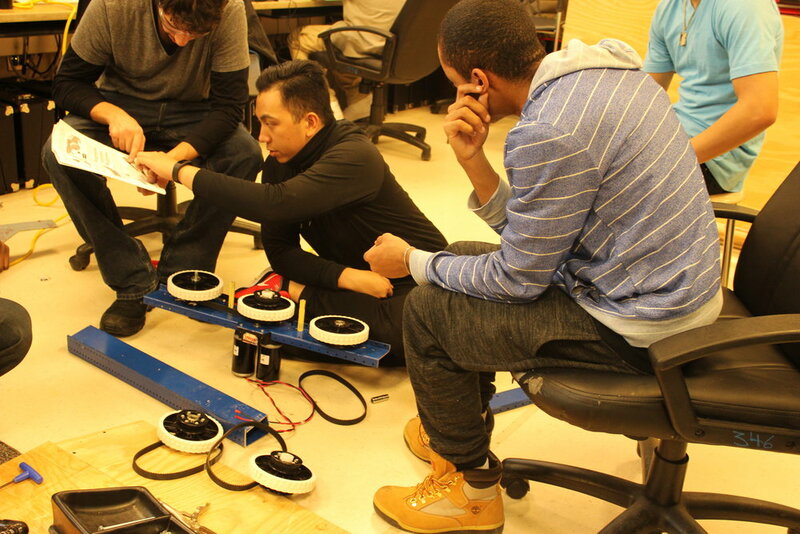 Our activities included Robot Driving, an Intro To Electronics Workshop, Lego Mindstorm programming sessions, & design your own Lego Mindstorm Robot booth. 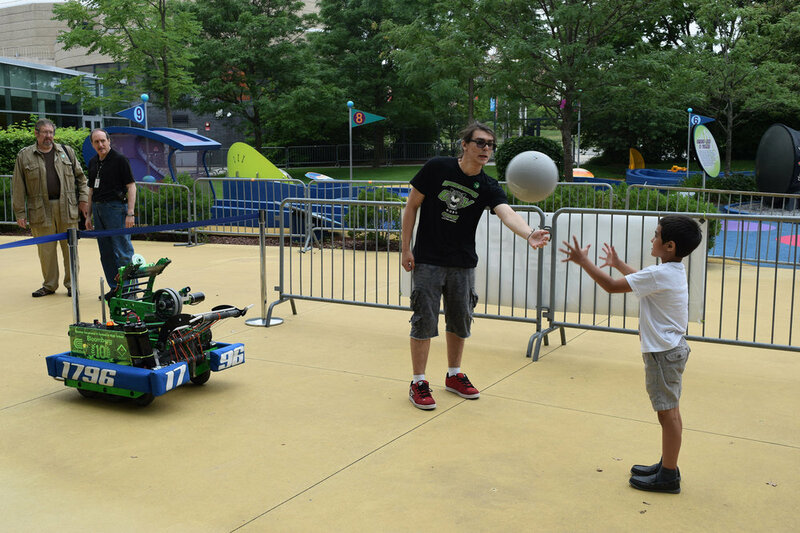 At NYSCI’s summer exhibition we hosted hands-on activities and workshops alongside local organizations to explore the wide variety of transportation. We hosted Interactive Robot Demos, SNAP-ON Electronics Workshop , Lego Mindstorm Machine Design, & Design your own Robot booth. Throughout the years we've started 3 First Lego league teams, one First Lego League Junior Team, and mentored rookie FRC team towards a Rookie Allstar Award and regional victory.